This page highlights topical astronomy facts and research of interest. On 12th April 2017, a global array of 8 radio telescopes known as the Event Horizon Telescope (EHT) spent 4 days studying the supermassive black hole at the center of the giant elliptical galaxy Messier 87, which lies ~53 million Light Years (LY) away. Using a technique called long baseline interferometry they collectively created the equivalent of an earth-sized dish capable of achieving the angular resolution needed to image the black hole defined by its event horizon, which is effectively swallowing the radiation (light) behind it, forming the black circular image. This galaxy lies near the centre of our galactic local group, which contains about 2,000 galaxies including our Milky Way, known as the Virgo cluster, which itself is part of the Virgo supercluster. 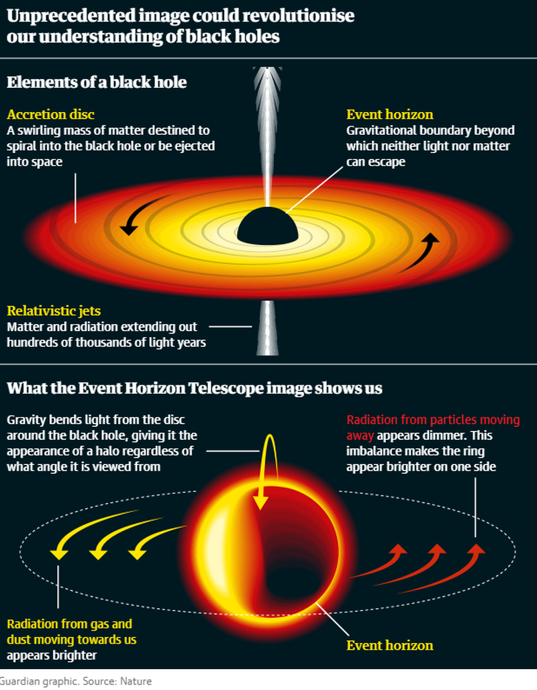 On 10th April 2019 the first image of this black hole event horizon shadow was published, confirming the predictions of Einstein’s General Theory of Relativity, namely the circular shape of the spinning (Kerr) black hole event horizon, defined by the Schwarzschild radius (the surface where the velocity of light becomes < the escape velocity of the black hole ), plus the co-rotating photon sphere where gravity is so strong, electromagnetic radiation is constrained to travels in unstable. near circular orbits due to the extreme gravitational distortion of space. In theory, located within the equatorial plane of the photon sphere, looking directly ahead, you would be able to see the back of your head! The radius of the event horizon and co-rotating photon sphere is 1.5 times the radius of the actual black hole Schwarzschild radius (event horizon), yielding an estimated diameter for the black hole event horizon of ~40 billion km and an estimated mass ~6.5 billion times greater than the mass of the sun. The actual EHT image is a computer visualisation of the microwave shadow of the event horizon plus the photon sphere, embedded in the distorted image of the accretion disc and two relativistic polar jets of plasma. Within the photon sphere the particles of charged plasma follow a trajectory into the black hole or are accelerated to relativist velocities by twisting magnetic fields, and ejected in opposite directions along the spin axis of the black hole. The accretion disc that’s external to the photon sphere is estimated to be rotating at ~3.5 million km/hr, and the two polar jets streaming out of the photon sphere along the spin axis of the black hole, have been accelerated to 99.9% the speed of light (300,000 km/sec). The inner temperature of these jets is around 10 trillion degrees Celsius, and they can extend to a distance of about 5,000 LY’s. As they propagate to these great distances they gradually cool and loose coherence, forming vast extended structures resembling plumes and lobes that eventually disperse into interstellar and/or intergalactic space. The variation in image brightness around the black hole shadow is due to Relativistic beaming, also known as Doppler beaming or boosting, which results in the radiation from the accretion disc travelling towards us appearing brighter, and the radiation travelling away us being fainter. 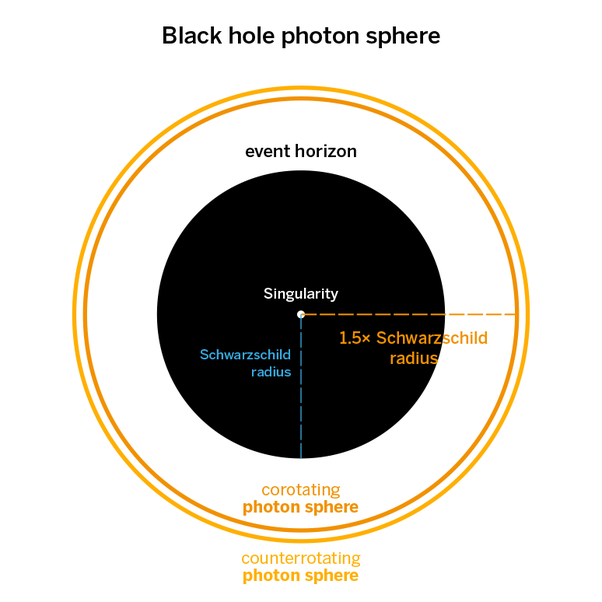 Image 1 illustrates the photon sphere in relation to the black hole event horizon. Image 2 is the actual EHT image revealing the combined size of the black hole and photon sphere in relation to the size of the solar system, and the distorted emissions from the accretion disc. Image 3 is the infographic that illustrates the undistorted appearance of the accretion disc and polar jets. 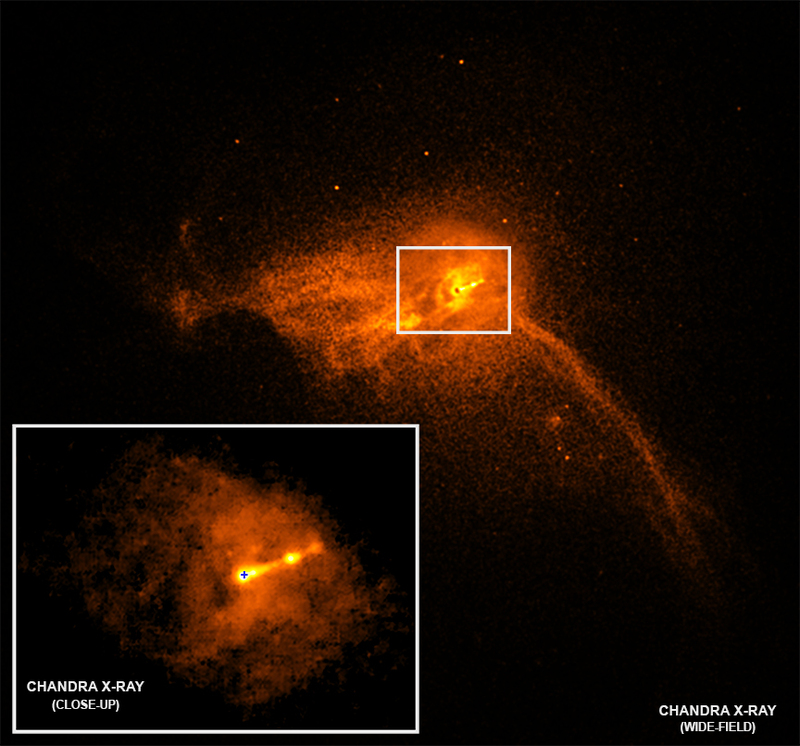 Image 4 is an X-ray image taken by the space-based Chandra X-ray telescope showing the wider region of hot plasma surrounding the supermassive black hole at the centre of M87. 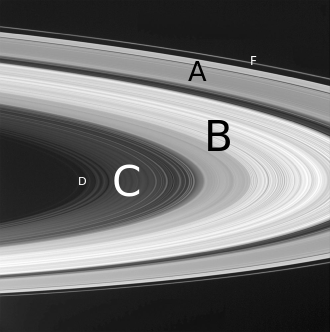 When the Cassini probe made its final dive into Saturn’s atmosphere, it passed between Saturn’s mostly water ice ring system and the top of its atmosphere, where it confirmed the existence of micron (10-9 meter) sized dusty water ice particles falling into the planets equatorial upper atmosphere (ionosphere). NASA estimated the flow rate of water ice was equivalent to an Olympic swimming pool full of water every 30 minutes and concluded its spectacular ring system must be <100 million years old based on the current appearance of the inner C and D rings. Further, at this rate of water loss, they concluded Saturn’s spectacular rings will only last for about another 300 million years. 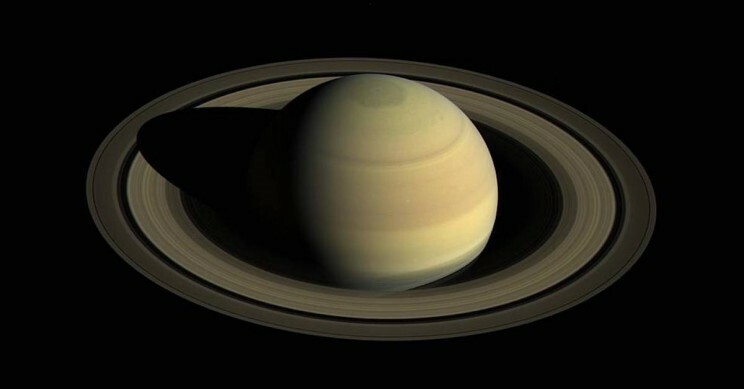 Micron-sized particles can become electrically charged by either solar ultraviolet light or by plasma clouds created by micrometeoroid impacts with Saturn’s sand grain to meter-sized boulders of disc ice. When these tiny particles become charged they’re attracted to the planet’s magnetic field that curves inward toward the planet at Saturn’s rings, where gravity can then pull them in along the magnetic field lines into the upper atmosphere. If planetary rings are temporary features we’re lucky to be able to see Saturn’s current ring system, and we’ve probably missed out seeing similar ring systems around Jupiter, Uranus, and Neptune, which only have faint thin ringlets today. These occur where the orbit of a full Moon intersects the plane of the Earth’s orbit around the Sun, and the Moon passes behind the Earth into the Earth’s shadow (umbra). As Sunlight passes through the Earth’s atmosphere the shorter blue wavelengths are scattered (the reason the sky is blue during the day), and the remaining longer red wavelengths are refracted onto the Moon giving it a reddish hue. The first image illustrates the alignment of the Sun, Earth, and Moon together with the light paths needed to produce a Total Lunar Eclipse. The second image shows what a Blood Moon should look like. According to NASA, there will be 230 lunar eclipses during the 21st century, and 85 will be total lunar eclipses. Friday 27th July will be the longest of the century, with a duration of 1 hour 43 minutes and 35 seconds. To see this Blood Moon from the UK, look South-East after 9.00 pm when the Moon rises and will be at mid phase around 10.30 pm. 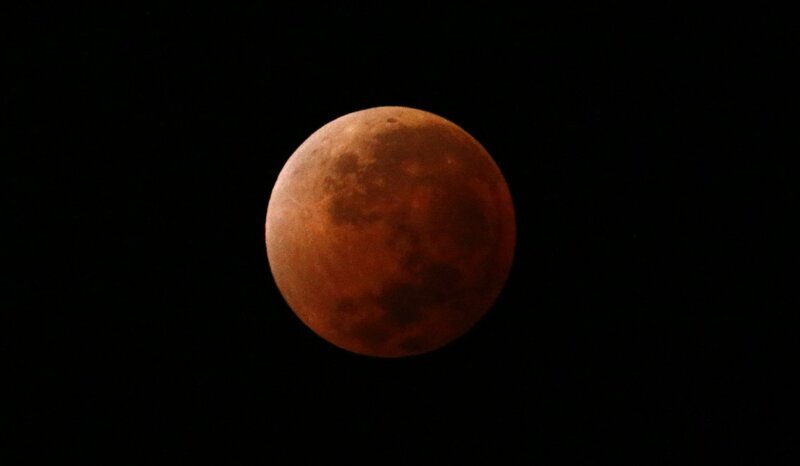 It will be the 17th total lunar eclipse of the century, and the next will occur on 21 January 2019. It is often stated that Venus is Earths twin given its similar size, mass, density, composition, and gravity, but it has several key characteristics that challenge this popular trope. The Earth rotates prograde (sun rises in the east and sets in the west) taking 23 h 56 m to spin once about its axis, 365.256 days to complete one orbit of the Sun, has an atmosphere consisting of 21% oxygen, 78% nitrogen, and 1% argon with a surface pressure of 1 atmosphere, and has an average surface temperature of 14.9 o C, ranging from -89.2 .o C in the Antarctic to 58 o C in North Africa. The generation of a strong global magnetic field requires fluid core convection, which in turn requires a flow of heat from the core into the overlying mantle that is the driving force of plate tectonics. Only the Earth’s outer core is fluid and convective and able to generate an electric current, which in turn creates a magnetic field. As charged convecting core metals flow through this magnetic field they, in turn, generate an electric current, creating a self-sustaining loop known as a Geodynamo. The spiralling caused by the Coriolis force arising from the Earths rotation, roughly aligns the separate magnetic fields lines in the same direction, forming a global scale magnetic field with a magnitude ranging from 25 to 65 microteslas (0.25 to 0.65 gauss) at the surface. By comparison, Venus’s rotation is both slow and variable taking on average 243 Earth days, yet despite this slow rotation, its upper atmosphere completes one rotation in only 4 Earth days! Venus orbits the sun every 225 Earth days, but due to its retrograde rotation (results in the Sun rising in the west and setting in the east), the time from one sunrise to the next is about 117 Earth days. The atmosphere of Venus (by volume) consists of 96.5% carbon dioxide, 3.5% nitrogen with a surface pressure of 92 atmospheres. Due to an atmospheric Greenhouse effect, this results in a uniform surface temperature of 462 o C, with the lowest temperature a (balmy?) 330 o C on the peak of Maxwell Montes, the 11,000 m high mountain, where it’s still hot enough to melt lead (m.p. 327.46°C). This makes Venus the hottest planet in the solar system. Despite being closer to the Sun the day side of Mercury reaches an average of 427 o C, peaking at up to 450 o C in places. Compared with Earth, Venus has a tiny magnetic field only 0.000015 times that of the Earth’s. The reason is due to a combination of its very slow rotation, the absence of plate tectonics suggests an absence of any significant internal convection, which could mean the core may be solid. If a fluid metallic outer core does exist it would not be rotating fast enough to produce a geodynamo capable of generating a significant global magnetic field. Venus’s variable rotation has recently been explained by data from the Akatsuki spacecraft of JAXA, the Japanese space agency. In a new study, researchers showed how the interaction between Venus’s fast-moving atmosphere and slower moving surface, with its volcanoes and extensive mountain ranges, alters the speed of the planet’s rotation. This interaction generates huge bow-shaped atmospheric structures that keep disappearing and reappearing, yet remain in the same location above mountains on the planet’s surface. These strange structures are believed to be mountain waves that cause Venus to rotate at varying speeds because of the different directions of the wind flowing upstream and downstream against the mountains. This generates a net force on the mountains, in other words, angular momentum is transferred between the solid body of Venus and its atmosphere. Since the Moon’s orbit is elliptical and not circular, its distance from Earth varies meaning its apparent size when seen from Earth must change. A Supermoon is a full moon (or a new Moon) that is within 90% of its closest distance to Earth or its perigee. A Full Moon at perigee is 362,600 km from Earth and appears approximately 14% larger in diameter than at its greatest distance (apogee) of 405,400 km when it is known as a Micromoon. Since the Full Moon’s surface luminance and hence perceived visual brightness is constant, at perigee, it appears about 30% brighter than at apogee, a difference that’s due to the inverse square law of light. On 31st January 2018 the first super Blue Moon and total lunar eclipse by the Earth since 1866 occurs. During this rare event, the Moon will be within 90% of its perigee (Supermoon), be the second full Moon in the month (Blue Moon), and will undergo a full lunar eclipse. Due to the scattering of the blue wavelengths of sunlight, as they pass through the Earths’ atmosphere, it will take on a red/orange hue due to the loss of the shorter wavelengths. Total solar eclipses are due to a remarkable coincidence. Despite the fact the Moon is slowly moving further away from the Earth at a rate of 3.78 cm/year, within the current range of varying Earth-Moon distances, it will occasionally be ~400 times less than the distance of the Earth from the Sun. When the Moon’s orbital geometry results in a New Moon passing directly in front of the Sun, because the diameter of the Moon is 400 times less than the diameter of the Sun, their angular diameters will appear to be the same when seen from the Earth, resulting in a total solar eclipse within a region called the umbra. The optical geometry of an eclipse is illustrated in these diagrams. Under the umbra shadow a long narrow path of totality (darkness) is traced across the surface of the earth that varies depending on one’s local geographical position, but is typically 140 miles wide and up to 6,0000 miles long. The duration of totality can last from a few seconds to a few minutes, during which the suns outer atmosphere called the solar corona can be seen. 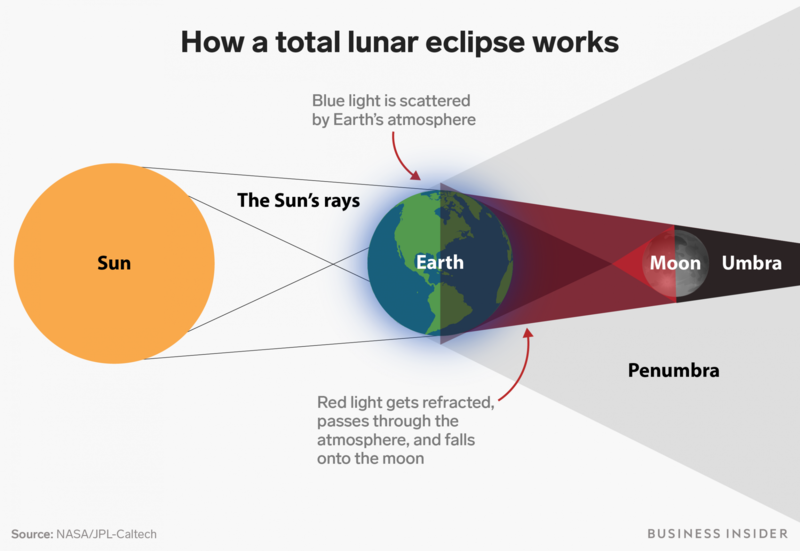 Beyond the umbra is a region known as the penumbra where partial eclipses of varying degrees can be seen; at the outer edge of the penumbra, only about 1% of the Sun will be obscured. These total solar eclipses occur when a New Moon crosses the Earth’s orbital plane (ecliptic) and can thus obscure the Sun, an event that happens on average about every 18 months. On 12th April 2017, six radio telescopes collectively called the Event Horizon Telescope (EHT) located around the world, made the first sub-millimeter microwave high angular resolution observations of the closest super-massive black hole to earth over a period of 6 days. This black hole is called Sagittarius A and is located 25,000 LY away at the center of the Milky Way; observations of a second black hole located at the center of the giant elliptical galaxy M 87 about 53.5 million LY away near the centre of the Virgo cluster are also planned. Sagittarius A has a mass of 4.1 million solar masses, which is tiny compared with the black hole at the center of M 87 with an estimated mass of between 3 & 7 billion solar masses. This black hole is emitting collimated jets of relativistic plasma with an energy of 5.1 × 1049 joules. By comparison, the total energy output of the Milky Way is estimated to be 5 × 1036 joules per second. These individual radio telescopes when combined, create the equivalent of a single earth sized dish capable of achieving the angular resolution comparable to the size of the event horizons of black holes, using a technique called very long baseline interferometry. It will be several months before all the data sets have been merged and analyzed, but if successful the resultant image should be able to confirm or disprove many of the predictions of Einstein’s General Theory of Relativity that describes the behaviour of matter close to the immensely strong gravitational fields adjacent to black hole event horizons. NASA recently announced the discovery of 7 earth sized planets orbiting a tiny ultra-cool M dwarf star with a mass 8% that of the sun called TRAPPIST 1 A. This star is only just big enough to be called a star, having a mass a little over 90 times that of Jupiter, and a surface temperature of 2286°C, making it appear about 2000 times less luminous than the sun, yet it will remain a mainstream star for about 10 trillion years compared with 10 billion for the sun. M dwarf stars constitute 76% of all stars in the universe, and ultra-cool dwarf stars plus brown dwarfs (L, T & Y class objects) with masses between 13 & 90 Jupiter masses* represent 15% of all dwarf stars. The accretion model of planet formation predicts earth sized planets should readily form around these type of objects, implying earth sized planets may be far more abundant than previously thought. 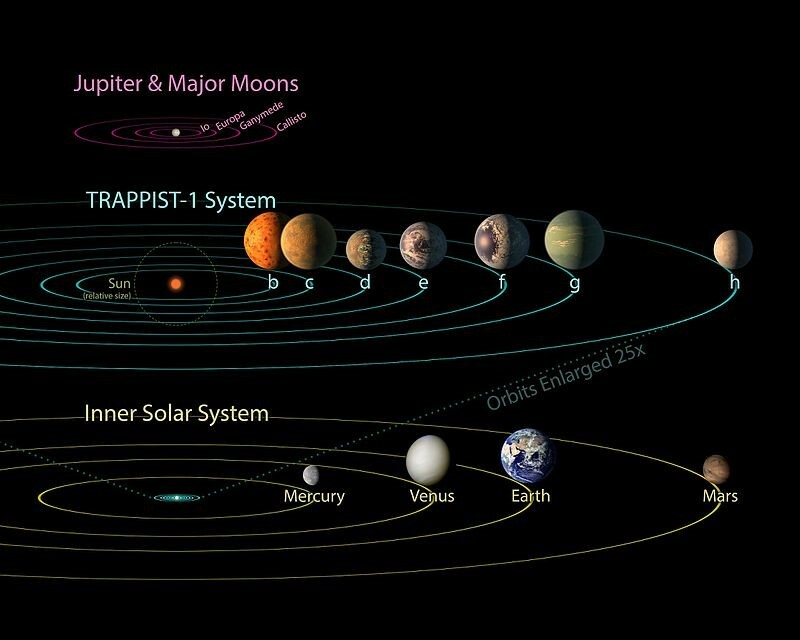 It is thus likely many of these planets would be orbiting within the “Goldilocks” habitability zone where liquid water can exist. What makes TRAPPIST 1 A interesting is that it’s only 39 light-years away in the constellation of Aquarius, making its 7 orbiting earth sized planets close enough to study. They all orbit close to this M dwarf star with orbital periods between 1·51 to over 20 days, which would place them all well within the Sun-Mercury distance – see graphic. Despite its feeble energy output, three planets have surface temperatures that could enable liquid water to exist, provided they had retained an atmosphere containing greenhouse gases that raised surface temperatures high enough to enable liquid water to exist, a key requirement for organisms like simple bacteria or even protozoa to evolve. These planets are designated 1 e, 1 f, and 1 g, with equilibrium surface temperatures of -22°C, -54°C and -74°C respectively. If any possess an atmosphere, the James Webb telescope due for launch in 2018 would be able to identify whether or not any contained oxygen and greenhouse gases like carbon dioxide, water vapour or methane. The presence of oxygen and/or methane would both be indicators of the possible existence of simple lifeforms. There are, however, two factors reducing the likelihood of simple lifeforms developing. Orbiting so close to their parent star mean planets will be tidally-locked signifying they would have a permanent hot day and frigid night hemispheres. How planetary climates would be affected remains largely unknown, although strong circulating winds could be expected, making twilight zones the most promising locations for life to develop. More importantly, M dwarf stars emit violent flares in their youth that would strip an atmosphere away and emit intense X-ray and extreme UV radiation, neither of which are conducive to life developing. More recent studies of Trappist-1 over several weeks confirm it is subject to violent flares that occur on average every 28 hours. These storms are also many thousands of times more violent than the Carrington Event that was the strongest recorded solar geomagnetic storm that hit earth in 1859. Storms of this magnitude would be very destructive to any planetary atmospheres, reducing the chances of any life developing, especially given their closeness to the star. Computer simulations suggest it may take up to 30,000 years for a planetary atmosphere to recover from events that are generated about every 28 hrs. This situation is not conducive to the development of life, but that said, life would have trillions rather than billions of years to evolve, and nobody really knows how these dwarf stars behave during their mid-life period, since there’s been insufficient time since the big bang for them to reach a (stable?) mid-life phase. *IAU defines Brown dwarfs as objects with a mass between 90 and 13 Jupiter masses since their cores are not hot enough to initiate core hydrogen fusion, but still hot enough to initiate core deuterium (heavy hydrogen) fusion. Below 13 Jupiter masses, their cores are too cool for any fusion to occur, and they are defined as planets. The surface of the sun (photosphere) glows at a steady temperature of 5,500 º C, by comparison, sunspots are temporary areas with a lower temperature of 2,700 to 4,200°C that typically last between a few days to a few weeks. At this lower temperature they appear darker, but on their own would be brighter than a full moon. The reason for this visible difference is because the suns brightness approximates to luminescence that varies to the fourth power of temperature (L ~ T 4), so sunspot brightness appears far lower (darker) than the rest of the photosphere. Sunspots are caused by the sun’s differential rotation steadily winding up its magnetic field below the surface, forming magnetic flux tubes that eventually burst through the surface. When this happens heat conveyed by convection towards the surface slows, reducing the surface temperature. Close up sunspots display two zones, a black central area (umbra) where the magnetic field lines emerge more or less vertically (maximum suppression of heat flow), and a surrounding area (penumbra) that appears lighter because the emerging magnetic field lines are inclined to the surface (reduced suppression of heat flow). This confirms there’s an increasing temperature gradient between the center and the edge. Yes, we are made of stardust. The late astronomer Carl Sagan, when he opened the first episode of his TV series about space, “Cosmos: A Personal Voyage”, included these lines in his opening remarks. This version of the Periodic table uniquely identifies the principle cosmic processes responsible for creating the elements in our solar system, which were also made from, confirming his prescient observations that the cosmos is truly within us because we know we are made of star-stuff. Note: Promethium (Pm) and Technetium (Tc), (both in grey) do not occur naturally on earth, and are only found in nuclear reactor fission products and fission weapon fallout. In the case of Tc 99 (half-life 4.2 million years), virtually immeasurable traces have been detected in Uranium ore due to the spontaneous fission of U 235, and traces have also been detected in a subclass of Red giant stars called Technetium stars. Pluto – Is it a dwarf or binary planet? When a celestial body orbits another celestial body, in reality, they’re both orbiting around a common center of mass called the barycentre. The barycentre usually lies inside the larger body, such as planets orbiting the sun, or the moon orbiting the Earth, in the latter case it lies 1,710 km (1,062 miles) below the surface, causing the earth to wobble as the moon orbits it. Pluto and its moon Charon are only separated by a distance of 12,000 miles and have an unusually high mass ratio, which means the barycentre lies between them, so they both orbit around this common centre of mass. This situation is typical for many binary asteroids, binary stars, and for Jupiter and the Sun. Because Pluto and Charon are orbiting this common point, Charon would appear to be suspended at a fixed point in the sky, so try to imagine if our moon was three times closer to Earth and the size of Mars, that’s how Charon would look from the surface of Pluto. Planet nine, fact or fiction? – The evidence. Caltech astronomer Michael Brown and theoretical astrophysicist Konstantin Batygin have found evidence for a possible 10 Earth-mass planet that may be tilting the orbits of long-period orbiting dwarf planets with perihelia >36 AU into high inclination eccentric orbits, and shepherding them into clusters well beyond the 30 AU orbit of Neptune. When planetary systems are born, the planets form within very flat discs around the equatorial plane of their Protostar, and the planetary orbits in our system are consistent with this principle, being aligned within about 1° of each other. The Sun’s rotation was first measured in 1850 and it was immediately realised its spin axis appeared to be tilted by 6° with respect to the planets. Whilst a 6° angle is relatively small, it’s very significant in terms of what’s seen in the majority of exoplanetary systems. Over a period of 4 billion years, the presence of Planet Nine would ensure the apparent obliquity of the sun was 6°. However, the direction of the suns axial rotation has not changed since its formation, rather it is the planetary orbits that have all been tilted by this proposed Planet Nine. In other words, while it appears to us it’s the Sun that’s tilted, it’s actually the other way around because the earth lies in the tilted plane of the suns planetary disc. The reason Planet nine is postulated to be about 10 Earth masses, compared with say, Jupiter’s 300 Earth masses, is because its orbital distance is very large compared with that of Jupiter. This large orbital distance can thus exert a significant torque on the inner planets without needing to apply any significant force, giving it almost the same amount of angular momentum as the rest of the planets combined! If Planet nine exists, it’s hypothesised it would have a diameter of ~40,000 km, an orbital period of ~15,000 years, be tilted ~30° to the plane of the solar system in a highly eccentric orbit ranging from a perihelion of ~200 AU to an aphelion of ~1200 AU. As to its origin, there are two possibilities. It may have been a ninth planet that was thrown into a distant highly eccentric orbit rather than being expelled during the early evolution of the solar system when Jupiter and Saturn were migrating inwards towards the protosun, and then reversed direction due to a unique gravitational interaction between them. Alternatively, it may have been a rogue plant that was expelled from its own planetary system and captured by the sun as it passed close by around 4 billion years ago.